Chocolate is good for you. Lucky for us bakers! Where baking recipes are involved, chocolate can be added in the form of chips, bars, nibs or powder. Generally it’s easy to figure out which form to use, but on a trip down the baking aisle you can find the powdered version as cocoa and cacao. What’s the difference? Because the taste is similar, I choose cacao for its health benefits. Cacao is minimally processed so it retains its beneficial antioxidants. Also, it “may be packed with brain-boosting compounds” called flavonols. So, eating that second piece of cake will make me smarter. Research on Wikipedia revealed that taste isn’t the only difference between the cocoa powders. Dutch process cocoa is not acidic like natural cocoa so “it cannot be used in recipes that use baking soda as the leavening agent, which relies on the acidity of the cocoa to activate it. Rather, Dutch process cocoa can be used in recipes that use baking powder (instead of baking soda) for leavening.” I also learned that the Dutch processing was, indeed, invented by a Dutchman. In case you were wondering. All this talk of chocolate is making me hungry. I’m going to go snack on a few squares of healthy dark chocolate. I’ll worry about baking later. On this summer solstice, strawberries are sweet and fresh and make a perfect dessert. A cheesecake would make a beautiful way to present them, or so I thought. I tried several types of recipes – entirely raw, with a cashew cream base, with macadamia nuts – and none of them turned out quite right. I couldn’t get textures and flavors that were reminiscent of a classic cheesecake. Admittedly I had never made a cheesecake before, vegan or not, but I didn’t think it should be this hard. 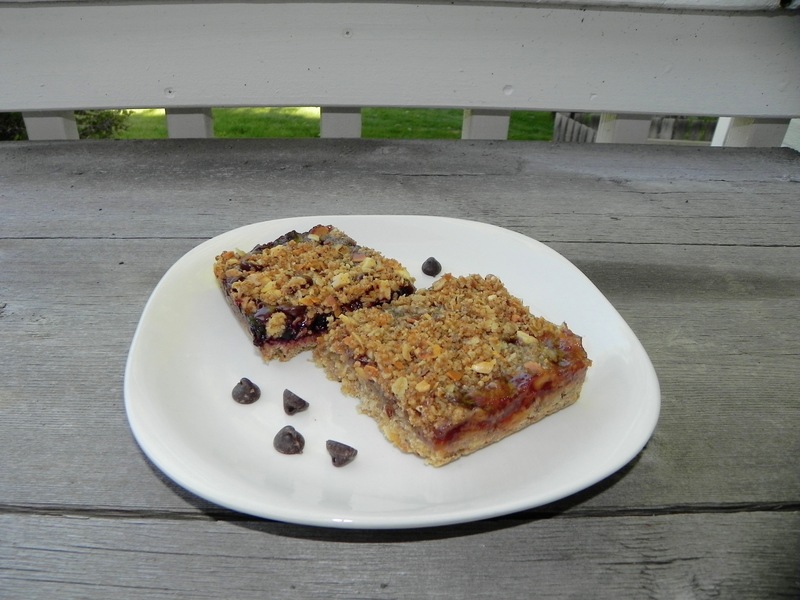 After much trial and error, which included a gummy dessert that was inedible, I decided to combine the parts of recipes that I liked to make the perfect whole. 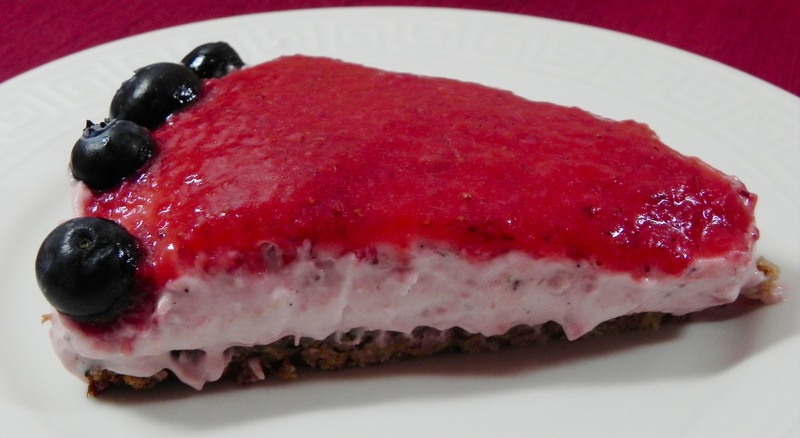 I chose a baked crust that added hemp seeds for a change of taste and then combined it with a strawberry cheesecake recipe where I replaced vegan items for their non-vegan counterparts. With a few more minor tweaks, including more flour for altitude and blueberries as a colorful garnish, I achieved a cheesecake worthy of a summer celebration. For crust: Preheat oven to 350. Whisk together almond flour, hemp seeds, salt and cinnamon. Stir in coconut oil and agave nectar. 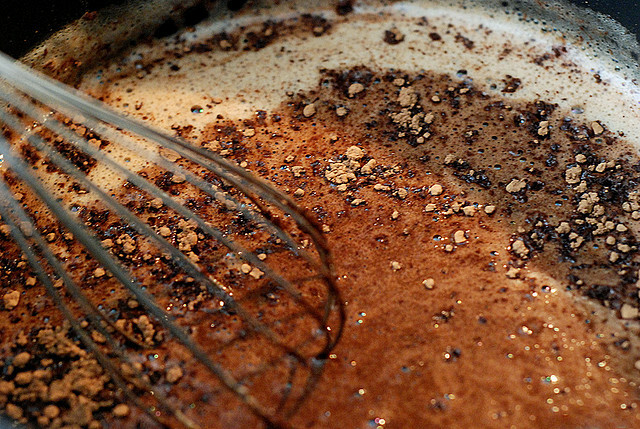 Using your hands, spread mixture into a greased 9” springform pan. Flatten using the bottom of a glass. Bake for 12-13 minutes, until golden brown along the edges. Set aside to cool. For strawberry topping: In a pot, add strawberries, sugar, vanilla bean pod and seeds and 2 TBS water. Cook over medium heat until strawberries are soft. Remove vanilla bean pod and use an immersion blender to puree the fruit. Sprinkle gelatin over 2 TBS cold water in a small bowl. Allow it to sit for 2 minutes. Transfer gelatin to the strawberries and gently cook over low heat, whisking just until gelatin is completely dissolved. Remove from heat. Reserve 3/4 cup strawberry mixture for the cake top. For cheesecake: In a stand mixer, beat cream cheese and sugar on medium-low speed with paddle attachment until smooth. Add vanilla extract. Add strawberry topping, except reserved 3/4 cup. In a separate bowl, whisk creamer. Replace stand mixer attachment with the whisk attachment. Add creamer to cheesecake batter and whisk until it is all combined. Pour cheesecake into prepared pan. Tap pan gently on counter to bring any air bubbles to surface. Let it sit, uncovered, in refrigerator for 2 hours or until it is set to the touch. Once cheesecake is set, pour remaining 3/4 cup strawberry topping over it. If the topping has set up in pot, gently heat it for a minute, just until it is pourable. Place the cheesecake back into the refrigerator and allow to set, uncovered, for another 30 minutes, or until the topping is set. Decorate with blueberries. At this point it is ready to serve or you can cover the cheesecake with plastic and it can sit in the refrigerator for 24 hours. Before unlocking the springform pan, run a knife around edge of the cheesecake to loosen it. When I first moved to high altitude I noticed that baked goods seemed to sink at the center – not just vegan, but all types. I also realized that the larger the baked item (i.e. a cake versus a cupcake) the larger the crater. That made me think that if you removed the center then you could, potentially, remove the crater. The conclusion was that I would have to start baking in different pans to make better looking and more evenly baked goodies. 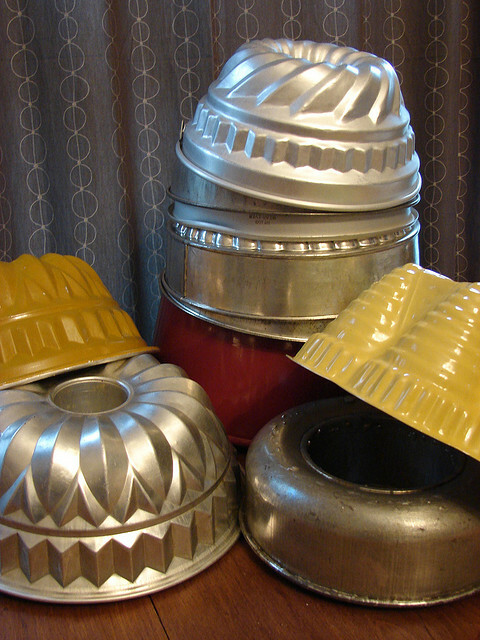 I started working with bundt pans for a centerless cake. Using a chart for Baking Pan substitutions I took a cake recipe for an 8 x 8” pan and baked it in my bundt pan. I started with a shorter baking time and checked every 5 minutes until it was done. Success! I had a perfectly baked cake with a great look. Next was applying the same logic to quick breads. If I used mini loaf pans instead of a regular sized loaf pan then I should get a good result. I divided up the batter and greatly reduced the baking time to account for smaller loaves. Checking every so often I found the perfect length of time to bake the breads, and I ended up with tops that didn’t resemble lunar landscapes. For a chart to help calculate changing loaf sizes and corresponding bake times, see Crafty Baking again. Now I apply this concept to all my high altitude baking except drop cookies; they don’t rise much so they don’t fall and cause craters. After a bit of shopping, I have specially divided pans for bar cookies and smaller pans to bake cakes in. The only problem I have now is that my pans tend to cater to bite-sized eating and my husband misses layer cakes. I guess that’s a project for the future. Now you know my secret to making beautiful baked goods at high altitude.